Yikes, reading up on Lori Zechlin, she sounds like a mess. Not somebody I would want anywhere near League membership. Very interesting character, but in the Justice League? That's why I chose the iteration I did. It's her at her most altruistic. Not to mention she is insanely powerful, able to mimic any magical being's power set, but you're not wrong, Ed. She is deeply troubled. I chose her primarily because, re-reading Detective Chimp's brief stint as Doctor Fate, his observational instinct was sent into overdrive by the power of the Helmet of Fate; that is he was too distracted by solving meaningless mysteries to be of any real use to anybody. This revelation on his part led to him relinquishing the Helmet of Fate, where it eventually found Black Alice. I'm not saying the choice is any better, but in terms of a League that exercises its power, not just a League for show, she was the superior choice, troubles aside. Not for nothing, but when has time travel ever proven consistently helpful without it blowing up in the collective faces of those involved? I reiterate, when has time travel ever ended well in the long run for anybody involved? Mark my words, that team implodes before the closure of its first major conflict. I'm a bit torn. Fearless's team seems more like one that could make an actual JL comic, and has some great choices and an interesting premise (though I still think Black Alice is a weak spot, if an interesting one). On the other hand, I like time travel a LOT as a theme, and like pretty much all the characters on that team, but have a harder time picturing all of them coming together (though, like my own team, it is certainly more than plausible as part of a one-off story, so there is that). I do feel like we got really got some great choices for the final, though. Sometimes, by the time we get to the final, the teams that got through are ones I didn't like much, so it is hard to care who wins. I tried a similar "Next Generation" theme. The same way Fearless hurt my roster, I hurt his. Batman and Donna are great choices (and had he not picked them, I would have), but there are better Superman replacements than Eradicator. 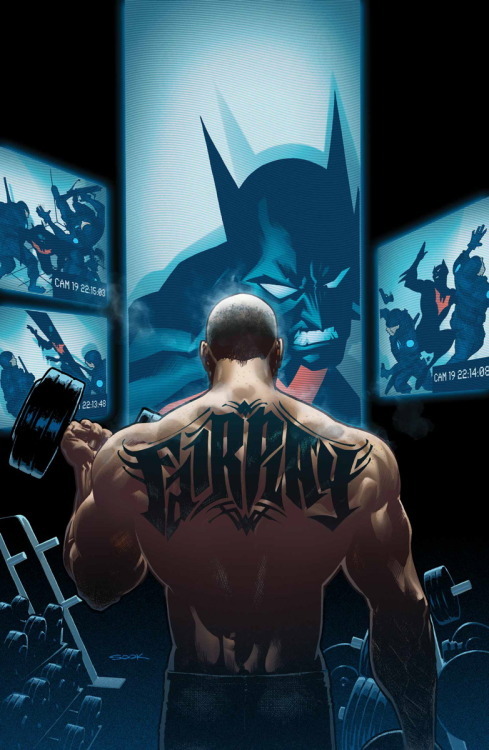 Superboy (pre Flashpoint), Supergirl (Matrix, Linda Danvers, the one from Loeb and Turner's storyline, the one from the New 52), one of the Superman robots, or any of the future Supermen between right now and One Million. Also, there were better Doctor Fates. Inza Nelson, Jared Stevens, Hector Hall... Why pick Lori when those three are available? As for the rest, Nightwing, Red Robin, both identities of a guy who has already made this team, aren't standard Justice League members one would have to replace. Not when there are tons of Green Lanterns and Flashes (or Kid Flashes or Max Mercuries or Impulses or whatever) to choose from. Supernova was a cool storyline, but Supernova isn't exactly a Justice League stalwart member one would have to find a replacement for if the Justice League were to disappear. 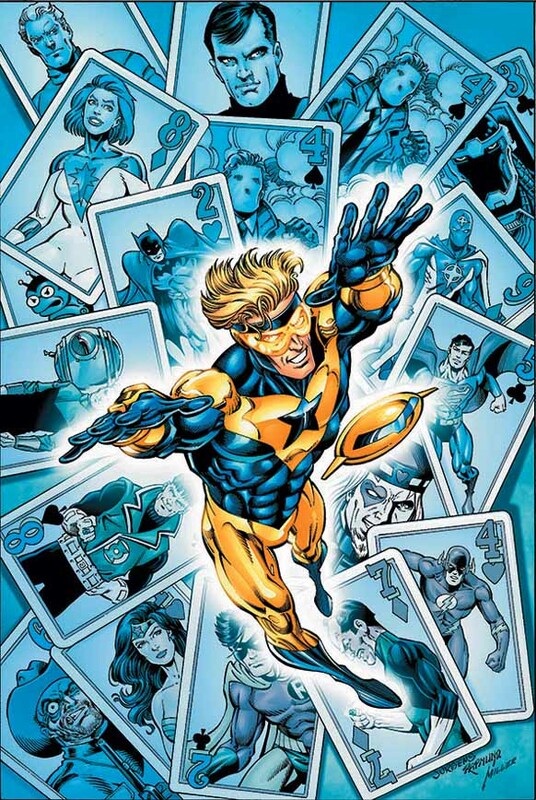 If "Next Generation" isn't your theme as much as just "replacements", I would have picked Steel, Azrael, Donna Troy, John Stewart, Jesse Quick, Kingdom Come Tempest and Jemm, Son of Saturn. Again, I would prefer a clean "Big 7" lineup with time-displaced analogues of Aquaman and Martian Manhunter instead of Booster and Brainiac 5. But outside of One Million, I can't think of many. That being said, Kal Kent and Terry McGinnis are great picks. Pol Manning AKA Hal Jordan is cool. 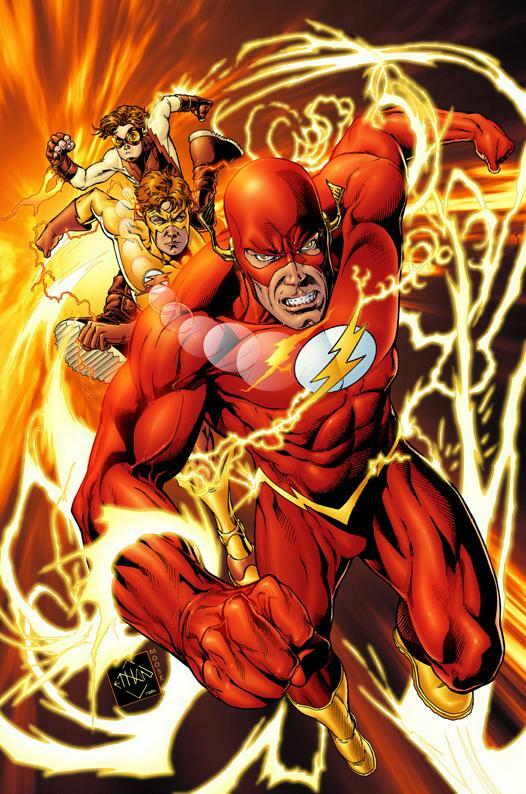 I think that John Fox is a better Flash than Bart, but both are from the future, so I'm okay with that. Hippolyta is the only one who hasn't travelled from the future to the present, but from the present to the past. So she sticks out a bit. 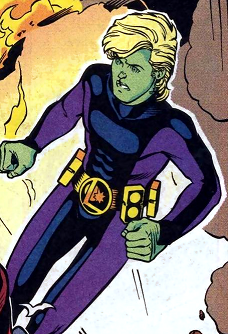 And Brainiac just isn't League material and probably just made the list to fit the "one character who hasn't been a Justice Leaguer in any continuity" requirement. I like both themes, but I think that Rufus has executed his theme a bit better. Also, I think that Rufus' team would be more exciting to write or read. I really like both teams, however I'm leaning towards the Time Travel theme. Eradicator doesn't make for a very good Superman, at least from what I remember about him. Before I vote, I'll look forward to some more closing arguments. Okay. I'm Rufus. My argument is above. Well, who else was it going to be? Yeah, I figured as much. My first thought upon seeing Rufus' team was, "Why didn't Heide do this?" Interestingly enough, this was only my third team. I entered it at the last moment because Booster needed another contestant. I still wasn't sure but I hate to see a runaway victory when I think both teams are good, so Time Travelers it is. Congrats! At least I lost to the winner, right? Congrats, dude. Both were good teams. "What the Heck"?!? I'd like to know who that is. This is my first draft win. I... I'm kind of in shock. Hats-off to Michael Heide, though. It was a close call. Good game. Congrats. Great minds think alike. I think we can all agree that this one doesn't count right?